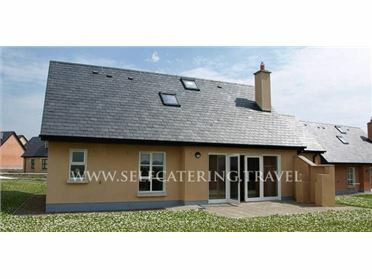 Heather Glen is a detached, single-storey cottage located 2.5 miles from the village of Glenbeigh, County Kerry. This cottage sleeps eight people in four people, consisting of three doubles and one twin, as well as a bathroom. The cottage also has an open plan living area with kitchen, dining area and sitting area with open fire. Outside there is off road parking for three cars and an enclosed front lawned garden with furniture. With the Ring of Kerry, sandy beaches and many places of interest nearby makes Heather Glen an ideal place to stay. Glenbeigh is a small fishing village situated on the northern section of the beautiful Ring of Kerry, 8 miles from Killorglin. The village offers a number of traditional inns and good restaurants, whilst providing easy access to the Blue Flag beach at Rossbeigh Strand. Oil central heating with open fire. Electric oven and hob, microwave, fridge, freezer, washer/dryer in utility, dishwasher, TV with Saorview, DVD, selection of books and games. Fuel is charged per unit at 25 cents for electricity and 90 cents for gas. Starter pack for fire inc. in rent. Bed linen and towels inc. in rent. Off road parking for 3 cars. Enclosed front lawned garden with furniture. One well-behaved dog welcome. Sorry, no smoking. Shop and pub 2.5 miles. Beach 1 mile. Note: The driveway is shared with the property next door..